Today, I learned how to tell whether fruits and veggies are traditionally grown, genetically modified, or organic, based on their respective PLU codes. It was short lived, but the crown of the world?? ?s thinnest smartphone has just been removed from the Huawei Ascend P1 S. Only beating the P1 S by a mere .03mm, the Chinese manufactured Oppo Finder has successfully gained the title of the world?? 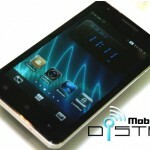 ?s thinnest smartphone ??? something heavy weights like Samsung, HTC or Motorola wont soon be claiming. 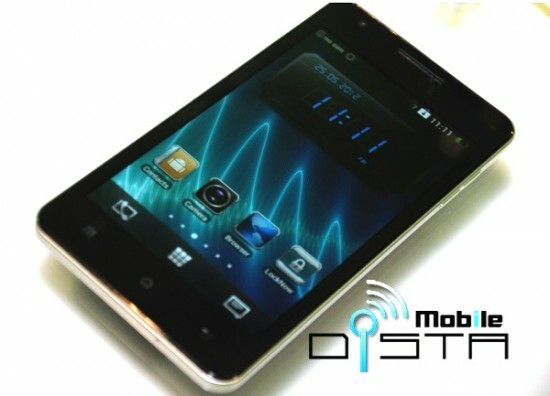 The Finder measures in at 6.65mm thick and features a healthy set of hardware specs like a 4.3-inch AMOLED display, 1.5GHz dual-core processor, 8MP shooter with 1.3MP front facing cam, 1GB of RAM, 16GB of internal storage and running on Android 4.0 Ice Cream Sandwich. To help show of it?? ?s new title, the Oppo Finder goes head-to-head with the iPhone 4 (9.30mm), Samsung Galaxy S2 (8.45mm), and Motorola RAZR (7.10mm) in their new ad spot. You can check it out below. Don?? 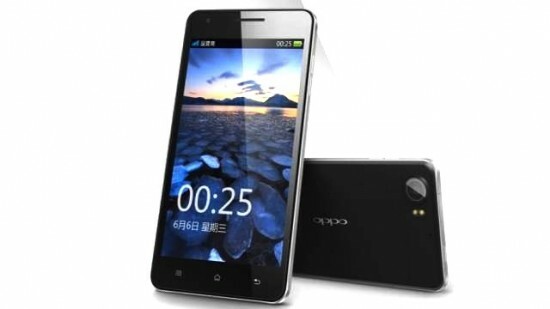 ?t expect to see the Oppo Finder hit anywhere outside of China but the phone will be released on June 6th. Wouldn?? ?t be surprised to see another device shave off a mm and take the title by then. Of course, these new sub 7mm devices always beg the question: how thin or too thin? While most of us were hurrying to turn off Twitter’s new email digests, the company announced they would begin suggesting new people and brands to follow based on your Twitter activity. The trouble is, by “activity,” they mean your friends, followers, and even where you go on the web once you leave Twitter. Basically, every time you visit a site that has a follow button, a “tweet this” button, or a hovercard, Twitter is recording your behavior. It is transparently watching your movements and storing them somewhere for later use. Right now, that data will make better suggestions for accounts you might want to follow. But what other things can it be used for? The privacy implications of such behavior by a company so large are sweeping and absolute. If tracking your behavior transparently is acceptable in the pursuit of a better user experience, why isn’t it also acceptable in the pursuit of monetization? 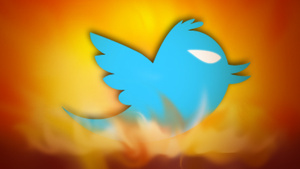 Is it okay for Twitter to sell your web browsing history to advertisers? The company is playing with a very slippery slope. Essentially, remember what Facebook was doing a few months ago? Twitter is doing something similar. For the time being, Twitter is only using the information for its own purposes. It’s not a stretch to think that if Twitter uses the data to suggest new brands and accounts to you, they’ll use the same data to sell more promoted tweets to advertisers, or worse. Whether or not the data will be used for marketing or money-making purposes later is up in the air. Twitter Disconnect stops Twitter from dropping those cookies on your system when you visit sites with “tweet” or “follow” buttons. You’ll still be logged in to Twitter, and if you do want to tweet an article or follow an author, you can click the button to interact with Twitter, but no cookies will be downloaded to your computer until you click. Disconnect for Firefox and Chrome is from the same developer as Twitter Disconnect, but goes further. The full extension blocks Twitter, Facebook, and Google from tracking your activities by blocking the cookies they try to drop on your computer when you visit a site with a tweet button, follow box, or +1 button. Ghostery for Firefox and Chrome, an extension we’ve mentioned before, gives you complete control over the scripts and cookies that run when you visit any site. You’ll be able to see which sites are dropping cookies or running scripts that call home right in your browser, and choose to block or allow any of them you choose. Priv3 for Firefox is lightweight and runs in the background quietly, blocking third party cookies until you interact with a social button or box. Do Not Track Plus for Firefox, Chrome, Safari, and IE does much of what Ghostery does?? ?it alerts you when a page attempts to send data to another site or company when you visit, blocks the transmission, and gives you the option to unblock it if you choose. All of these tools do similar things: they give you control over the data that the sites you visit collect and share about you. In Twitter’s defense, the company has a privacy-positive reputation. They’ve implimented Do Not Track, and promised to obey any browsers or clients that support it. Twitter representatives responded directly to Curtis, saying they’ll will never sell your data to anyone, and data they obtain from your activities on other web sites will be deleted after no more than 10 days. Curtis rebuts that this response, and Twitter’s commitment to Do Not Track is a PR distraction from the issue at hand: that their tracking?? ?like everyone else’s on the web?? ?is opt-out, not opt-in, and forces users to understand and be outraged enough over what’s going on to do something about it. Whether you think Twitter’s move is purely designed to improve their product or a creeping harbinger of future privacy intrusions, at least there are tools you can download?? ?or that you may already have?? ?that put control back into your hands. What do you think? Just another company looking to get their hands on your data, or much ado about nothing? Share your thoughts in the comments below. Bacon is delicious, and it’s really not difficult to cook, but it is easy to screw up if you don’t cook it long enough or leave it on the heat so long it’s a mess of desiccated carbon. The folks at America’s Test Kitchen have a method for frying bacon that results in perfectly crispy strips every single time. The secret ingredient? Water. What’s your favorite bacon prep method? Do you use the microwave, toss it in the oven, or do something else? Let’s hear it in the comments below. Editor?? 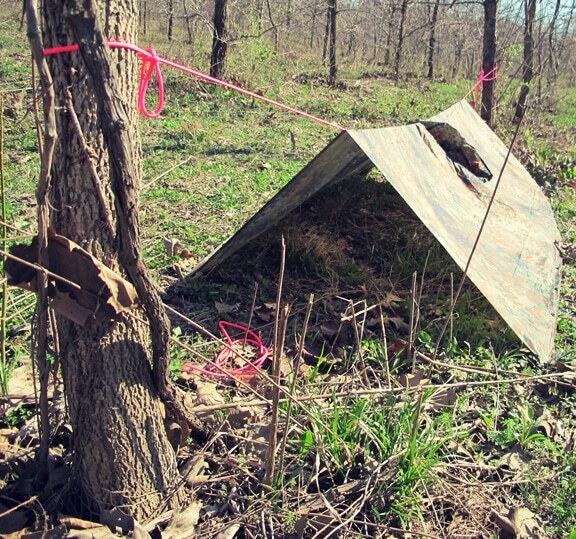 ?s note: This is a guest post from Creek Stewart, Senior Instructor at the Willow Haven Outdoor School for Survival, Preparedness & Bushcraft. 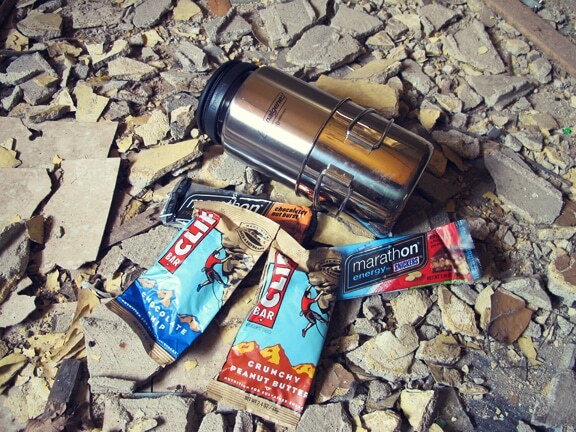 Just over one year ago I wrote a post about how to build a 72-hour disaster survival kit called a Bug Out Bag. Much of my time between then and now has been spent writing a book on the same subject?? ?a more detailed and thorough version of that post. The title of that book is Build the Perfect Bug Out Bag: Your 72-Hour Disaster Survival Kit (to win a copy, see the giveaway section below). If you liked the post about how to build a Bug Out Bag, then you are going to like this post as well. 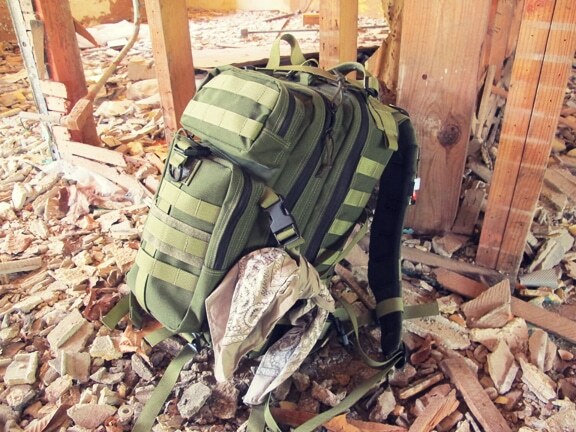 Your Get Home Bag is just as important as your Bug Out Bag. Look at it as your Bug Out Bag?? ?s little brother. They are similar in concept and design, but the end goal is altogether different. You can hear the sirens in the distance. Your electricity is out, and your home phone has no dial tone. When you try to use your cell phone, you get the same message over and over: ?? ?All circuits are busy.??? You know a disaster is quickly approaching. And you know that waiting this one out is not an option. In the breath-taking stillness, you can hear the clock on the wall. Tick-tock, tick-tock. The eleventh hour is here. Now, imagine this??? YOU ARE AT WORK! As you reach under your desk to grab your Get Home Bag (GHB), thoughts of your wife and children rush through your mind. Then, you quietly say to yourself, ?? ?This isn?? ?t going to be my typical commute home today.??? As a whole, we spend surprisingly little time at home. Between our time in a vehicle, at work, in school, running errands, visiting friends, attending meetings and making appointments, some of us spend more time AWAY from home than AT home. Many of you are nodding in agreement. These countless hours away from home must be considered when developing your disaster preparedness plan. The name says it all. 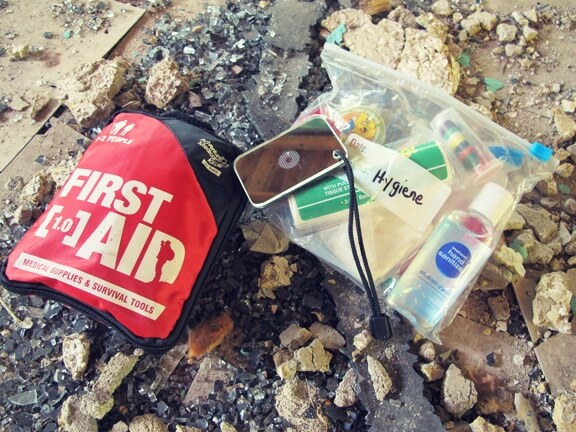 It is a survival kit designed to get you home in the event that a catastrophic disaster occurs while you are away. I sometimes call this bag my 24-hour bag, and you?? ?ll rarely find me away from home without it. 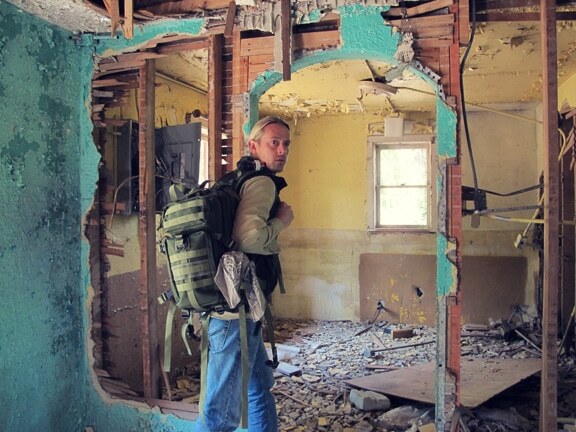 A Bug Out Bag is a much more substantial supply kit (typically 72 hours) and stays at home. It?? ?s not practical to tote your BOB back and forth to work every day. 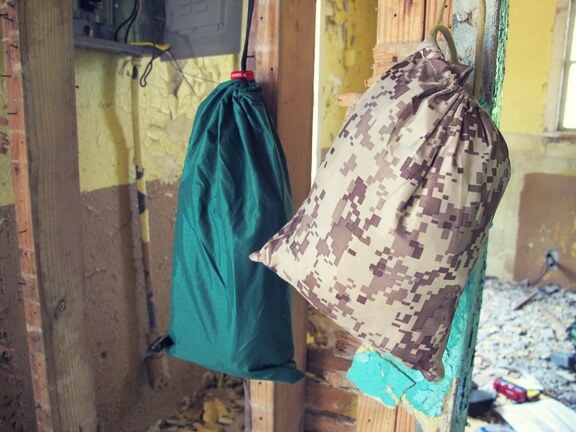 Your Get Home Bag bridges that preparedness gap. Depending on the situation, just getting home can be a survival journey in and of itself. A GHB can take a variety of forms depending on your personal preference. My GHB is a small backpack and that is what I recommend. However, I have friends who use duffel bags, fanny packs, web-gear, sling packs and even spare briefcases. Ultimately that is your decision, but I prefer the hands-free utility of a backpack. Is a Get Home Bag Even Necessary? There is an infinite list of events that could warrant the use of a Get Home Bag. Many are regular occurrences. A GHB doesn?? ?t have to save you from TEOTWAWKI (the end of the world as we know it) to be a worthy investment. Even if never put to that grave test, a GHB can provide for you in countless other less catastrophic scenarios. Below is a short list of events from the news headlines in the past few years that could possibly interfere with your immediate and uninterrupted commute home. I?? ?m certain several people reading this article can account for some of these from personal experience. Certainly, some disasters are more devastating than others. Millions of people have found themselves in need of a Get Home Bag at some point in their lives. For some, not having one has cost them their future. I was watching a documentary the other day which interviewed survivors of the 9-11 terrorist attacks years later. I was surprised at the severe lung problems people have developed from inhaling the dust, fumes, smoke, and pulverized building material while escaping from in and around Ground Zero. It was an after effect I had never considered. An N95 face mask (mentioned later) in a Get Home Bag could have eliminated these ailments. Assembling a GHB is not a daunting task and can easily be done in one afternoon. For the investment of time, money, and energy, I know of very few other things in life that can have such a dramatic and lasting effect on your future than a Get Home Bag?? ?should you ever need to use it. Below is my list of recommended GHB supplies. I fully expect for you to make your own additions and subtractions from this list. After all, it is YOUR kit. Different lifestyles, careers, and environments are all factors that will dictate the items in your kit. These kits are very personal. 1 Liter of Water in a Metal Container. I suggest a metal container because it gives you the option to boil water and/or cook in if necessary. I also carry a metal cup that fits snugly on the bottom of my metal Nalgene. 3-6 Energy Bars. Don?? ?t over pack with elaborate meals. High calorie bars are simple and sufficient meal substitutes. They require no heating or preparation?? ?now that?? ?s my kind of meal! Rain Poncho. I personally use a military version with grommets in the corners which can be used as an improvised shelter if necessary. Being wet is not only miserable, it?? ?s deadly. Hypothermia is the # 1 outdoor killer, and your vulnerability skyrockets when you are wet?? ?even in temperatures as high as 50 degrees. Lightweight Tarp. I pack this to use as a shelter canopy. It can also be used as a ground cover and many things in between. 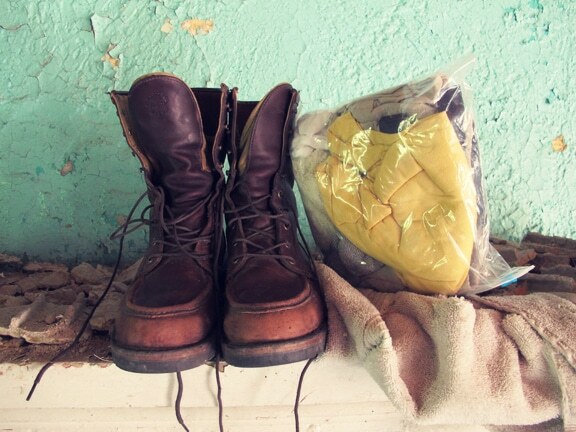 Walking Shoes / Hiking Boots. Especially for people who wear dress shoes to work, this is a really important addition. Pack a comfortable pair of tennis shoes at the very least. A good pair of wool hiking socks isn?? ?t a bad idea either. A change of clothes and a pair of leather gloves allows you to change out of your suit and into something that offers more protection and maneuverability. A Change of Weather Appropriate Clothing. 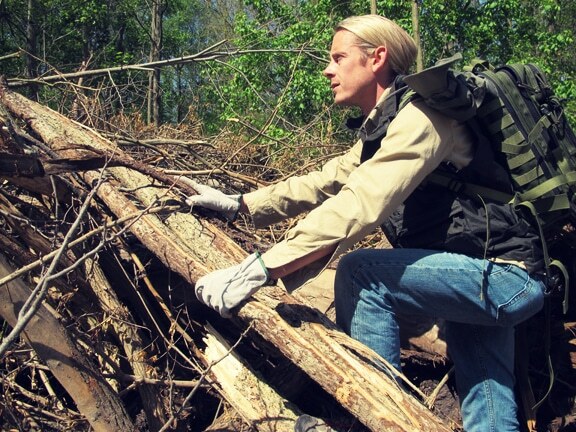 Trade out your 3-piece suit for a more practical survival outfit. This should include a durable pair of leather gloves and a hat. Fire Starting Tools and Prepared Fire Tinder. 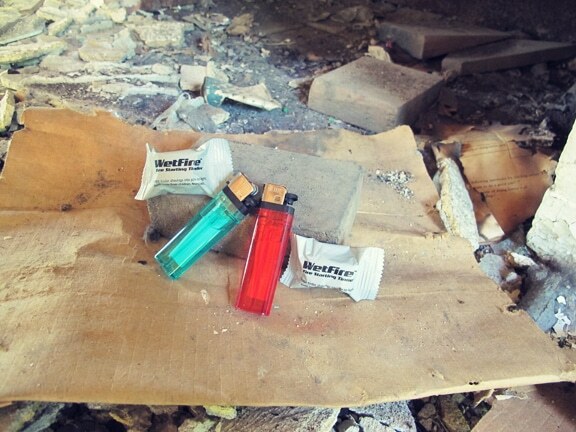 Pick up a couple of bic cigarette lighters. They are inexpensive and dependable. Also pack some fire starting tinder. I prefer the WetFire brand but a quick do-it-yourself substitute is cotton balls soaked in petroleum jelly. If you need to start a fire, these 2 items will get you 98% of the way there. 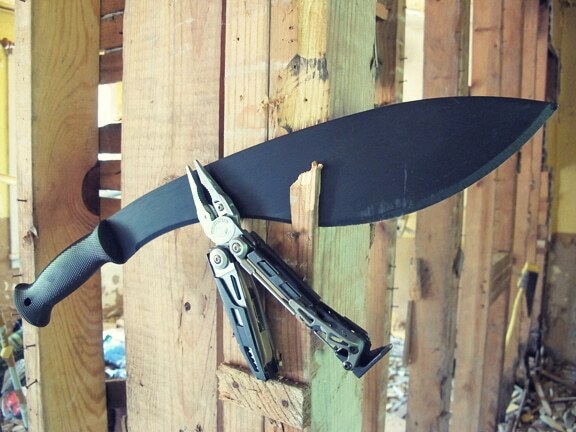 A quality mulit-tool is an essential. Pack a headlamp along with an extra battery. Headlamp. 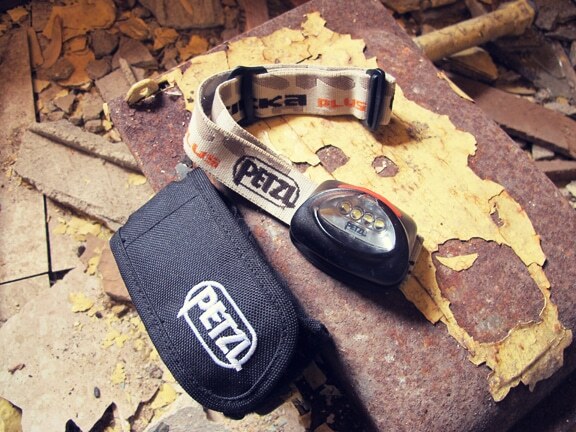 Pack a good quality, hands-free, water-resistant headlamp flashlight. Toss in an extra battery while you?? ?re at it. First Aid Kit. This kit should include basic first aid supplies such as bandages, gauze pads, medical tape, splint, tweezers, lip balm, moleskin, insect repellant, sunscreen, small mirror, and a variety of basic medications?? ?Tylenol, aspirin, antacids, Dramamine, etc. If you wear contacts, be sure to include a back-up pair of glasses as well. Hygiene Kit. This kit should include items such as a small towel, toothbrush and paste, bandana (multiple uses), toilet paper, and soap. A pack of disinfecting wet napkins are perfect for quick ???spit-baths.??? Hand sanitizer is always a winner. Emergency Blanket. 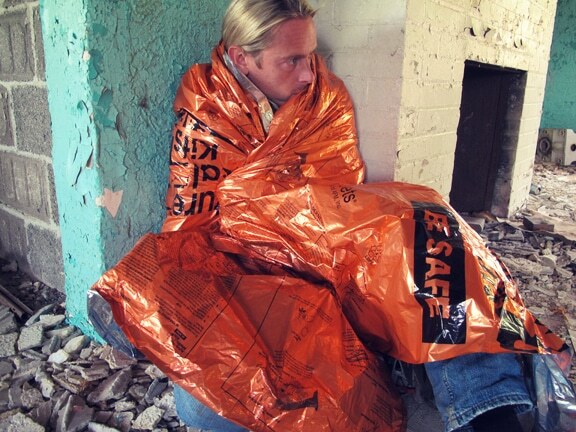 Emergency mylar blankets are cheap, lightweight, and compact. Not only can they save your life in a cold weather environment, but they can also double as a quickie shelter, waterproof gear cover, and rain poncho. I prefer the Heatsheet brand from Adventure Medical Kits. N95 Face Mask. 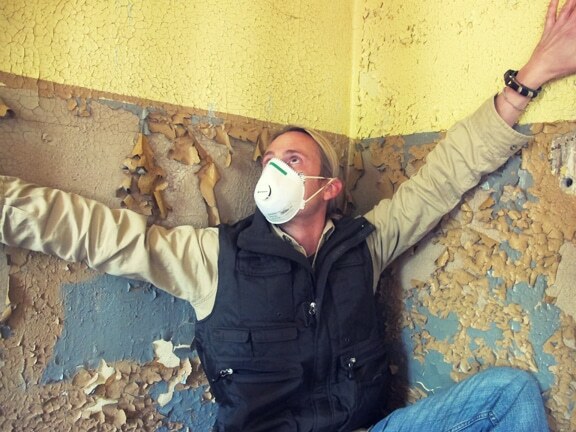 Whether from debris, dust, or sickness, protect your lungs with a N95 face mask. Your t-shirt is not sufficient. Self-Defense Items. Disasters are a breeding ground for frustration, desperation, and confrontation. Violent crimes skyrocket in the wake and aftermath of any large scale disaster. Ideally, your self-defense items should keep some distance between you and an attacker. Avoid hand-to-hand combat at all costs. 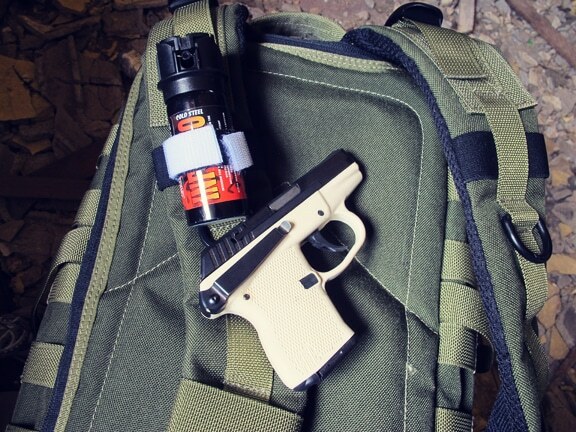 I pack some pepper spray (attached with Velcro to the shoulder strap of my pack) and a compact Kel-Tec P-32 Pistol with 4 extra clips (28 rounds) in my Get Home Bag. 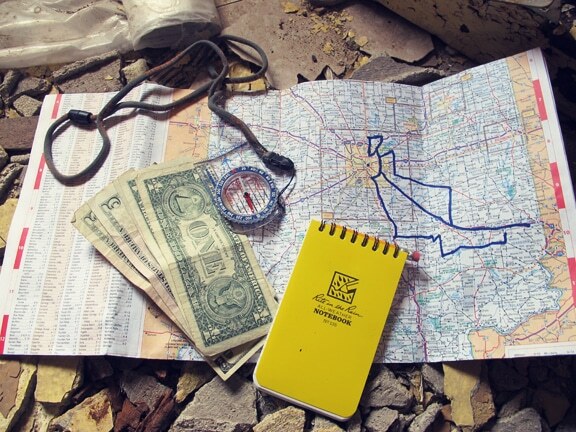 Paper Map and Compass. Having a paper map of your surrounding area can be invaluable?? ?especially in large cities. If you are trying to get home?? ?so is everyone else. Expect and plan for detours. Ideally, you will have marked several alternative routes home from your place of work. Do not rely on your cell phone or GPS system. Your brain is more impressive anyway. Cash Money. Cash doesn?? ?t need to communicate with the power grid and it speaks everyone?? ?s language. Pack small denominations in a variety of places. Never reveal all of your duckets at once. Paper & Pencil. Perfect for recording information or leaving notes. I use the Rite-in-the-Rain brand. 100 Feet of Paracord. 1000?? ?s of uses, only a few ounces. Trust me on this one?? ?just pack it. Emergency Radio. 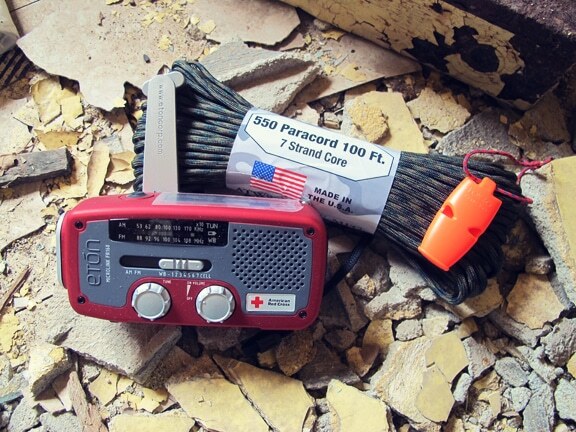 Pick up a small Dynamo hand-crank emergency radio. Make sure it receives NOAA All Hazard Weather Alerts. I picked mine up at Radio Shack for $40. 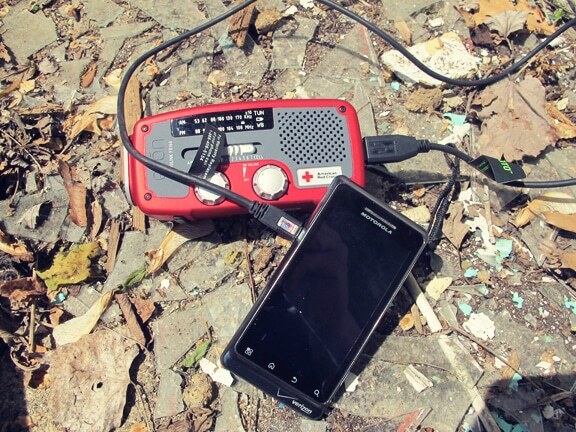 This could be your only source of disaster-related information in an emergency. Get a model that has an integrated USB cell phone charger?? ?very cool feature and highly recommended. Rescue Signal Items. Small signal mirror (mentioned in First Aid) and a whistle. The weight of my GHB is only 14 lbs. The items could easily be packed into a smaller bag, but I like the flexibility of more space?? ?especially in cold months when I toss in a heavy fleece, gloves, hat, and shell. 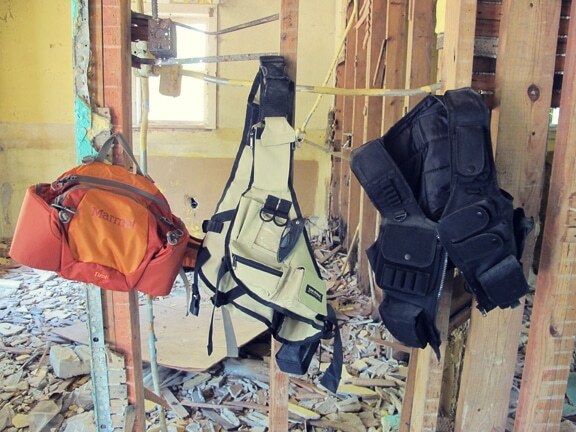 Clearly, there is more to consider than just a [Bug Out Bag]. Hurricanes, floods, tornadoes, terrorists, wild fires, plagues and foreign invaders will show you no mercy. None of these disasters will pause while you argue about where to go or whether or not to take Freckles the Ferret with you. Survival is not about guarantees?? ?there is always a gamble and the disaster typically has the house advantage. The only way to increase your odds of living is to plan and prepare in advance. HOME not only represents safety and security but many of us also have families who depend on our safe and timely return. When getting home becomes your first priority, reach for your Get Home Bag. What?? ?s in your GHB? The book also includes sections on special considerations for bugging out with children, the elderly, the physically disabled, and even pets. Creek is giving away 3 copies of his book to three lucky Art of Manliness readers. 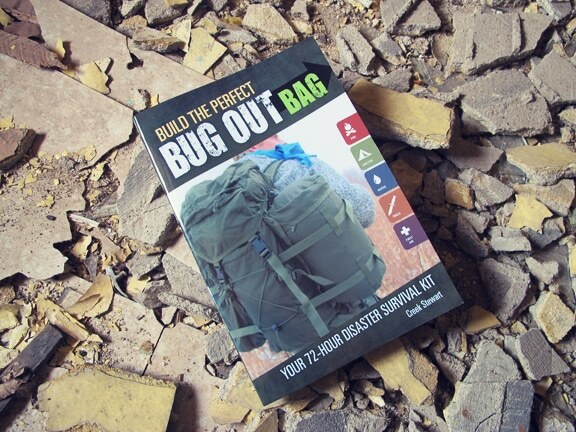 To win a copy of Build the Perfect Bug Out Bag: Your 72-hour Disaster Survival Kit, just leave a comment telling us one thing you consider essential for packing in a Bug Out or Get Home bag. Three comments will be randomly drawn as the winners. Giveaway ends May 17, 2012 at 12:00 pm CST. Note: Due to high traffic on this post, I had to enable a lockdown to ensure that the page loads quickly. When you comment, it will be put into our system, but will not publish until we disable lockdown mode. So if you leave a comment, but don?? ?t see, don?? ?t worry. It?? ?s there.